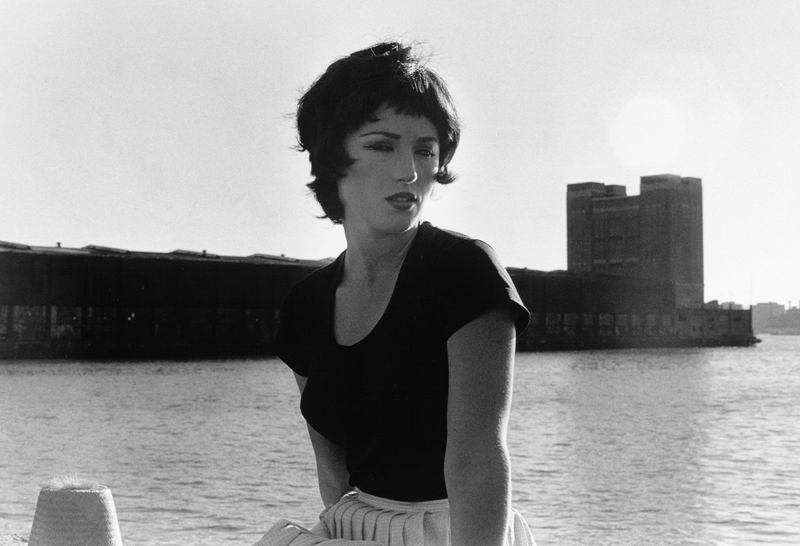 Cindy Sherman. “Untitled Film Still #24,” 1978. Bell Hooks’ seminal essay “The Oppositional Gaze” argues zealously that the black female gaze has been historically oppressed in the U.S., causing it to become an inherently “oppositional gaze.” Zoe Leonard, Cindy Sherman and Lorna Simpson, three female artists (one black, two white) control the camera with such confidence, dexterity and skill that they complicate Hooks’ assertions. The group show “Nothing Personal” features a single performative work in film or photography by each artist, in which the camera’s gaze delves into a single female subject. A captivating, personal and psychological portrait of the leading character in each piece lures the audience down a nebulous rabbit hole of artifice. Zoe Leonard’s “The Fae Richards Archive” profiles the stunning, glamorous, black gay actress Fae Richards, whose progressive personal life contradicts the heartbreaking limitations of her film roles as a house servant or plantation slave. Presented as a documentary case told in captioned photographs, the archive evokes sincere empathy, which is snatched away when Leonard reveals Fae Richards to be the artist’s invention. In Cindy Sherman’s iconic “Film Stills,” the artist poses herself as stereotypical female types in dramatically lit and cinematically angled scenes, full of emotional charge no more real than Leonard’s Fae Richards. Lorna Simpson’s two-channel video juxtaposes one black woman in two contrasting domestic scenarios: a nineteenth-century woman (perhaps a freed slave) and a modern woman in her elegant home. Simpson focuses on her heroines in anti-climactic, private moments of contemplation in the domestic sphere. The museum text reveals the model is Kenyan-American artist Wangechi Mutu, whose work has also powerfully explored Postcolonial racial and gender identity. Lorna Simpson. “Corridor (detail),” 2003. The tightly organized exhibition “Nothing Personal” presents race and gender through performative artifice, hinting at the arbitrariness of these social constructions. However, the subjects of all three works rely on traditional female beauty to hold the viewer’s gaze. As makers, the three artists seem ironically aware in casting their intelligent, complex female characters that society expects its leading ladies to first and foremost be beautiful. Through May 1 at the Art Institute of Chicago, 111 South Michigan.